As Designers, we are always looking for fresh new ideas to integrate into our work. This can take the form of just about anything: paint colours, fabrics, tile, lighting, furniture, or whatever else we find that inspires us. Inspiration can come from anywhere at any time, and you never know what the one thing will be that influence for an entire design. Recently I’ve seen alot of Shiplap featured online, and am very intrigued by how effective it is. The clean and simple horizontal lines are fresh and fun, and you can make a space feel rich and layered instantly. Small spaces are perfect for a Shiplap installation, because it adds visual interest without cluttering it up. Having done some research, I was thrilled to find a pre-painted shiplap available from Metrie. This product, called ‘Metrie Complete pre-painted shiplap’ is ideal for a weekend DIY to help you instantly transform a space. Already primed and painted, it goes up easily, so there’s no paint prep involved. Just install and you’re done! And who doesn’t love an easy décor fix when it’s available?! Shiplap obviously has a Modern Farmhouse vibe to it, but that doesn’t mean that it can’t be used in a multitude of spaces and applications. I was so keen to try it I actively looked for a client and a space to use it in. 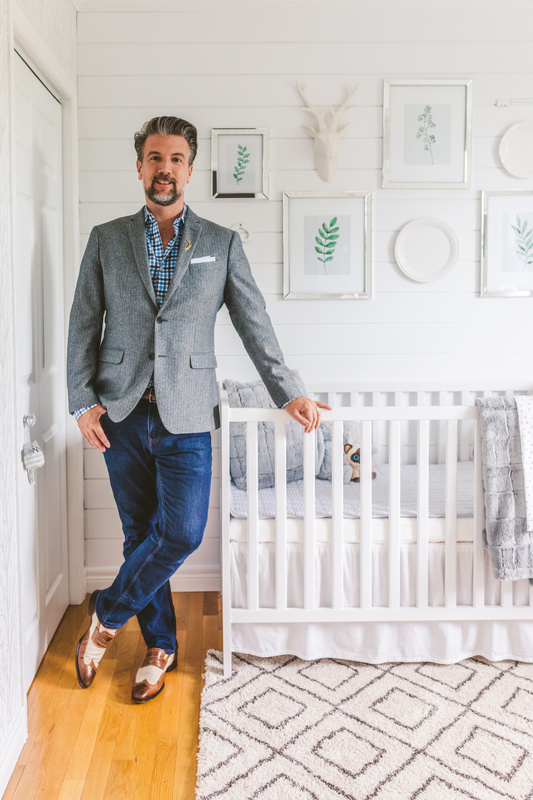 When I realized I had to design a nursery for a young couple expecting their first child, I jumped at the chance to put a Shiplap feature wall behind the crib. Fresh and modern, it provides the perfect backdrop for the nursery, and also an eclectic gallery wall of frames and plates layered on top of it. 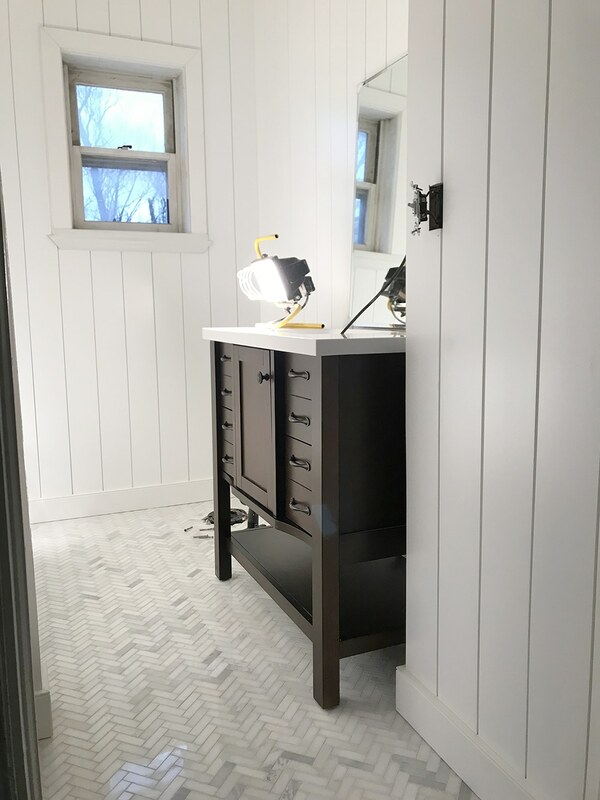 SO don’t be afraid to integrate a Shiplap wall into your next design, it’s a fun and easy way to personalize a space and create a look to call your very own!